How to reach valley of flowers from Delhi, Haridwar, Rishikesh and Dehradoon. You can reach Haridwar from Delhi using Private taxi, AC Volvo bus, train or by air. To reach by air you need to reach up to Dehradoon airport first and then drive to Haridwar. Haridwar to Auli / Joshimath / Govindghat. From Haridwar you need to drive to Auli / Joshimath / Govindghat. You can stay at any of these places as they are nearby. Total distance 275kms – 300 kms time taken will be 10-12 hours. 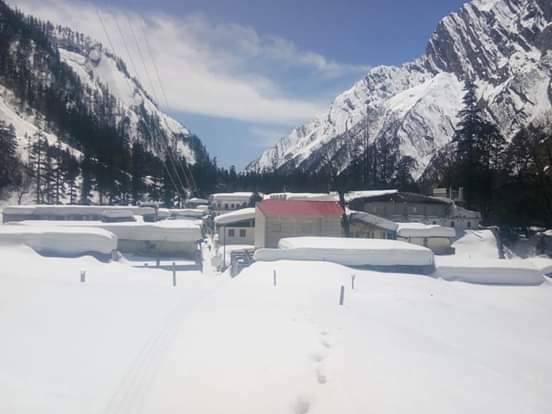 Auli / Joshimath / Govindghat to Ghangaria. You need to first drive to Govindghat if you are not staying there. From Govindghat drive to Pulna Village for 4 kms in separate vehicle, your vehicle is not allowed. From Pulna its a moderate trek to Ghangaria for 10 kms. 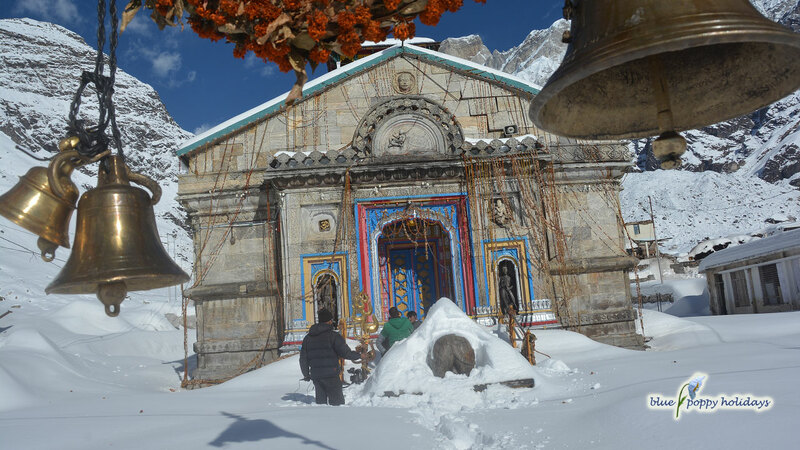 You can get Helicopter or Pony or Porters from Govindghat to Ghangaria. Ghangaria to Valley of flowers and back to Ghangaria. Full day trek of 10- 20 kms depending upon how deep you go. Start early to explore deepest parts of the valley of flowers. You need to be back by 5 pm as per forest department rules. 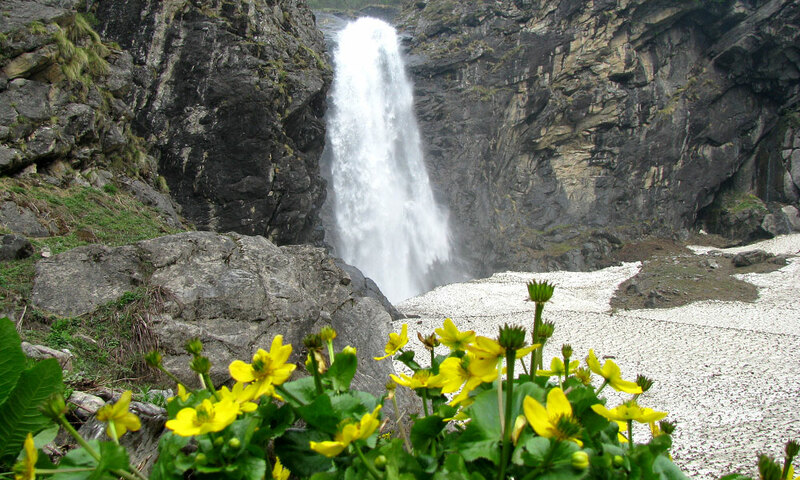 Check out tour package page for valley of flowers, you just need to report at Haridwar. However we can customize your trip from Dehradun airport as well. 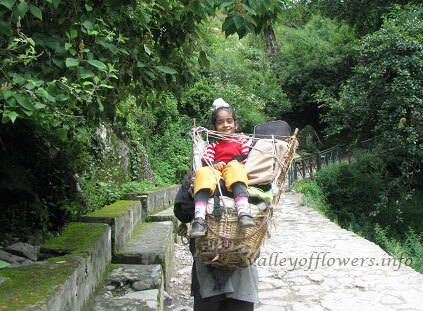 We take approximately 800-1000 people to valley of flowers every year. Reaching Valley of flowers from Delhi requires 7 days and 6 nights in total and we can divide it into following segments. You can reach Haridwar from New Delhi by road or by train. Air-conditioned Volvo buses are available from New Delhi to Haridwar. You can take bus from Anand Vihar Inter State Bus Terminus at New Delhi. If you are not so particular about Air-conditioned bus then you may get a bus every ten minutes from New Delhi. It takes almost 5-6 hours from New Delhi to Haridwar by bus. The second option is you hire a taxi from New Delhi to Haridwar. It is a bit costly affair as they charge both ways for dropping only. But if you 3-4 people minimum this is also a good idea. The last option is going by train. If you are starting from New Delhi you can get a train easily from New Delhi but bookings are to be done well in Advance. You can check train availability from New Delhi to Haridwar by clicking here. But if you are coming from other parts of India kindly try to book your tickets for a direct train to Haridwar only. You should reach Haridwar by evening as you need to start early (not later than 5.30 AM) the next day for the trip. Train is the best option but if you did not have train reservation you can go in for air-conditioned Volvo bus. Reaching from Haridwar to Govindghat. This is the day when you have option of going by road only. The whole day you will be traveling along Alaknanda River and the whole journey will be in hills. So take a tablet for vomiting if you are prone to that. Public transport is not so good in this region and since you need to travel for at least 10-12 hrs by road you need to have a comfortable vehicle. Hiring a vehicle from Haridwar is a good idea and they charge for the whole trip of 6 days. Getting dropped and sending them back is not a good idea as while coming back it would be difficult to get a taxi from Govindghat or Badrinath. The best idea is to go in for an organized trip by a professional organizer or hire a taxi for the trip. (You can contact us for any of the need). Reach Govindghat by evening. And prepare yourself for tomorrow’s trek. Sleep early and divide your luggage in to two parts. You can leave some luggage at Govindghat which you dont need at Ghangaria. How to reach from Govindghat to Ghangaria. The motor-able road ends at Govindghat. 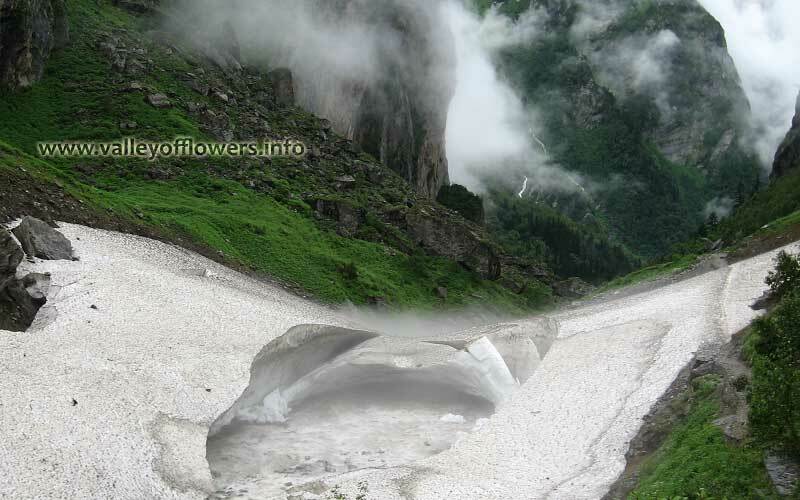 Ghangaria is the common base camp for trek to Valley of flowers and Hemkund Sahib. It is a small village where there are some basic hotels. In 2012 the electricity reached this village and now you can expect some electric charging facility for your camera cells in Ghangaria. Reaching Govindghat to Ghangaria by trekking. Reaching Ghangaria from Govindghat by Pony. Ponies take approximately four hours to reach Ghangaria. So can have a luxury to start by 9.00 AM from Govindghat. But we recommend you to start early and reach Ghangaria by 12.00 noon and enter Valley of flowers today only to finish the micro level photography of the first kilometer of Valley of flowers. This step will give you more time for tomorrow for valley of flowers when you will explore the deeper parts of Valley of Flowers. Valley of flowers entry closes at 2.00 PM so be there at enterance before that. The entry ticket costs Rs. 150 for Indian nationals and Rs. 600 for foreigners. But good news is that this ticket is valid for three days, so dont need to take a ticket tomorrow. Come out of the gate before 5.00 PM. Reaching Ghangaria from Govindghat by Porter/Porters. 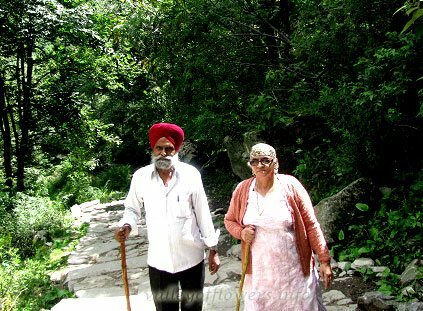 If you a senior citizen or an old age person you dont want to trek for any reason and the Helicopter is not flying due to bad weather you can hire a porter or group of four porters who can carry a person. Single porter is recommended for a light weight person upto a weight of 50 kilograms. The pictures will explain the facility in a better way. Even you can hire single porter for children with you. Reach Govindghat by evening and stay in a pre-booked hotel. (Contact us to book a hotel in Ghangaria). Reaching Ghangaria from Govindghat by Helicopter. This is the fastest way to reach Ghangaria from Govindghat. But in the month of July and August the flying of the Helicopter is very uncertain due to bad weather. So the availability of helicopter is very uncertain. You can not plan your self accordingly. But if you can get a helicopter you can save both time and energy but you will be deprived of the beauty of nature from Govindghat to Ghangaria. We dont recommend this mode as you have come to this place for nature and not for luxury. Now you have reached the base camp Ghangaria, for the trek to Valley of flowers. Basically you need to trek from Govindghat to Ghangaria. But for older, physically weak and children porters are available. Ponies are not allowed in Valley of flowers. Get up early in the morning the day and get ready for breakfast by 6.00 AM and finish your breakfast by 6.30 AM so as to reach Valley of flowers entry gate before 7.00 AM. Valley of flowers entry gate opens at 7.00 AM and you need to be back by 5.00 PM. Today be punctual so as to explore as much as possible. This is the most crucial day of the trip. You should explore the maximum area of Valley of flowers. Even local guides are not interested in taking you to core and the most beautiful part of valley of flowers. 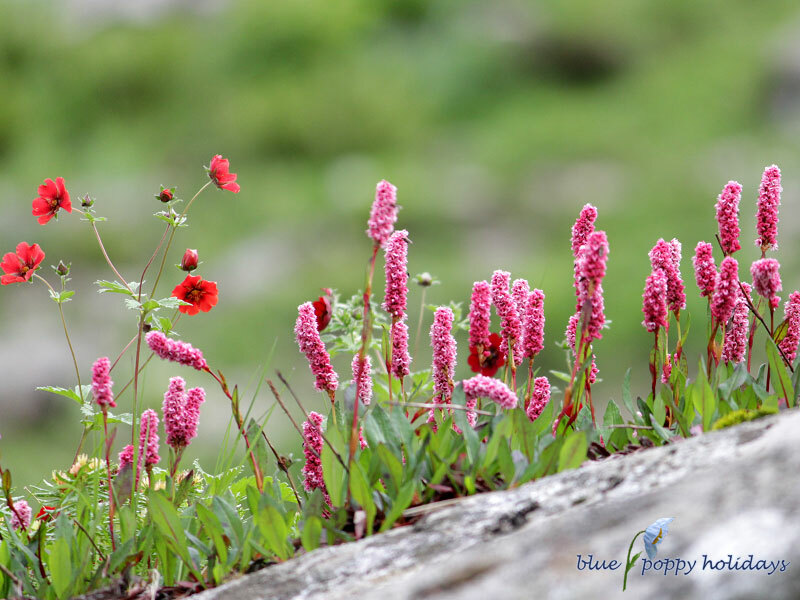 Since you are spending a lot of time and taking lot of pain to reach Valley of flowers, you should not miss the main beauty of Valley of flowers. We take you to the core area of Valley of flowers (Provided you have enough stamina and speed). Kindly contact us to book your seat with us at a reasonable price. As this is our hobby turned into profession. We love our job and you can expect the best of the services. 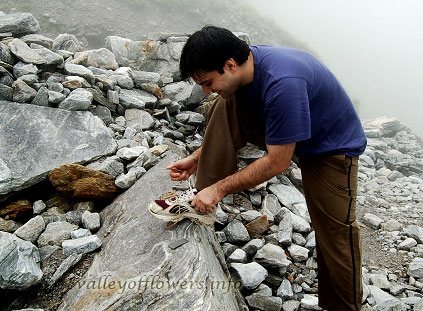 Check the trek difficulty level on How difficult is Valley of flowers trek. 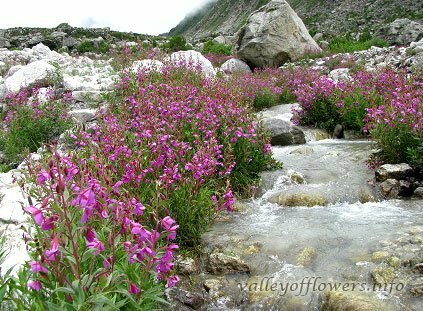 Check the minimum age to visit Valley of flowers. Check the best time to visit Valley of Flowers. We are group of 5 friends and now we are planning to visit Valley of flowers in mid September 2018. We will be driving from Jaipur. Also if there are few more places around we would like to do that and can we camp in Valley of flowers or not? Dates from 25th – 30th September, I will be coming from Rishikesh. I’d like to visit the Valley of flowers. Thanks. I m a solo traveller, want to travel valley of flowers on 1 to 3 sep 2018,want to know, easly availability of accomodation on ghangariya and gobindghat ,and availability of taxi from Haridwar to gobindghat. Hello i am looking for accommodate at Ghangaria between Aug 15 to 17..I am solo traveller and looking for budget accommodation only.. please send me details. 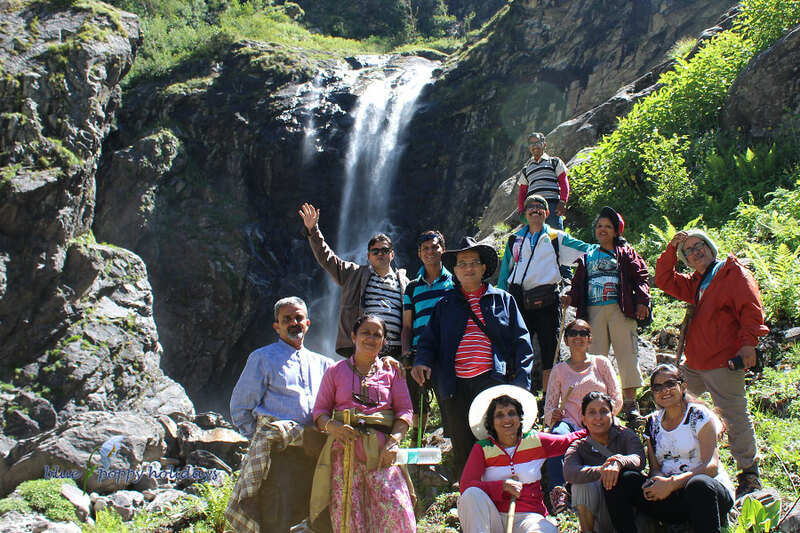 We are in family group of 7 members, want to visit valley of flowers. Kindly send the itinerary for the same. We want to visit the place betweeen 14 oct to 17 oct 2018. We have to come from Haridwar. Hello Everyone !!!!!!!!!!!!! I have become die hard fan and true Lover of Devbhoomi Uttarakhand !!!!!!!!!!! Uttarakhand is really absolutely one of the most charming , beautiful and awesome places on Earth. I’ve been to Uttarakhand’s Capital Dehradoon and Haridwar. I am extremely curious and eager to come and will definitely love to visit and see , observe and experience the astonishing beauty and scenic charm of Famous ” Valley of Flowers of Uttarakhand “. Please !!!!!!!!!! I earnestly request you to kindly tell me the easiest possible way to capture and experience the majestic beauty of ” Valley of Flowers “. Tell me how to come there. Which railhead is the nearest to ” Ghangaria ” ?????? What are the other beautiful places that can be covered along with ” Valley of Flowers ” ??????? What precautions one will have to follow while going there ?????? What are the necessary / compulsory items or things to be carried or taken en-route ” Valley of Flowers ” etc.etc. ??????? I’m looking forward for your reply ASAP. Thanking You All. GOD BLESS YOU ALL !!!!!!!!!!!!!!!!!!!!!!!! My current location is NARAYAN BAGAD CHAMOLI and I am on leave from 11 Aug to 15 Aug 2018. Please provide the travel plan for journey to valley , badrinath or other location which can be visited with itinerary for couples.. 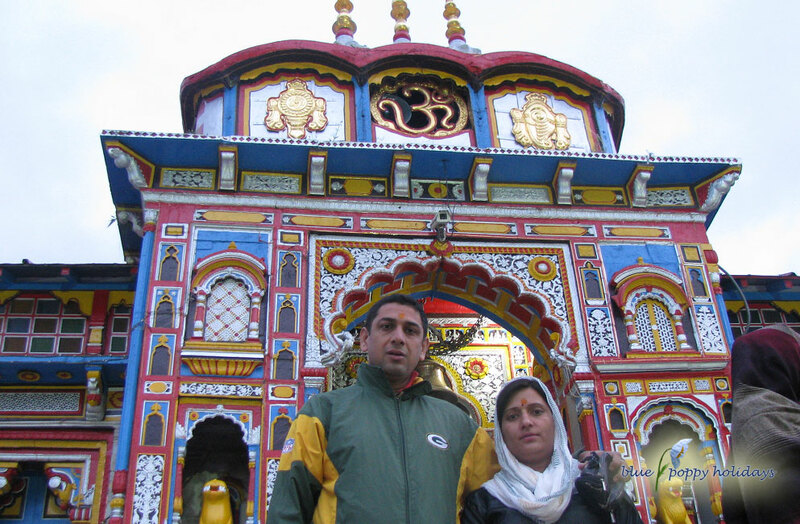 I, along with my wife, shall reach rishikesh at 5 AM on 12th August and wish to cover Vof, hemkund sahib and badrinath. Requesting an Itinerary along with prices for this trip, excluding meals. i want to visit valley of flowers. starting off from kathgodam on 2nd september. can i have detailed itinerary. You need minimum 6 days to explore whole valley. A detailed itinerary has been sent to you please go through it or you can call us on 9991242759. Reaching Haridwar by 6th Aug. Would like to trek VOF and hemkund satin. Please do advise. Hi looking for a visit to valley of flowers in the end of august. 27th august onwards. Please advise. Would also like to visit hemkund saheb if poosible. We need to customized your trip please provide us your contact no. or you can call us on 9991242759.
hi, we are 3 people from delhi to valley of flower. Please send details. Please send me the details from delhi to VOF. Please send me out the details for two person from Delhi to Valley of Flower’s. Please send package from govindghat to valley of flowers. Please send the detailed package fro delhi for 2 persons. Me and my wife planning to visit this beautiful place in august. Please share your complete package details. Hi, we (3 people) are planning for trip from 22nd tp 26th July. We are planning for the trip to Valley of flower coming 27th of july and we need to stay in Ghagharia and Govind ghat a day. Would be really helpful if we can pre-book it through you and a porter who would help us from there. From delhi we will reach Govindghat on 30th of July.